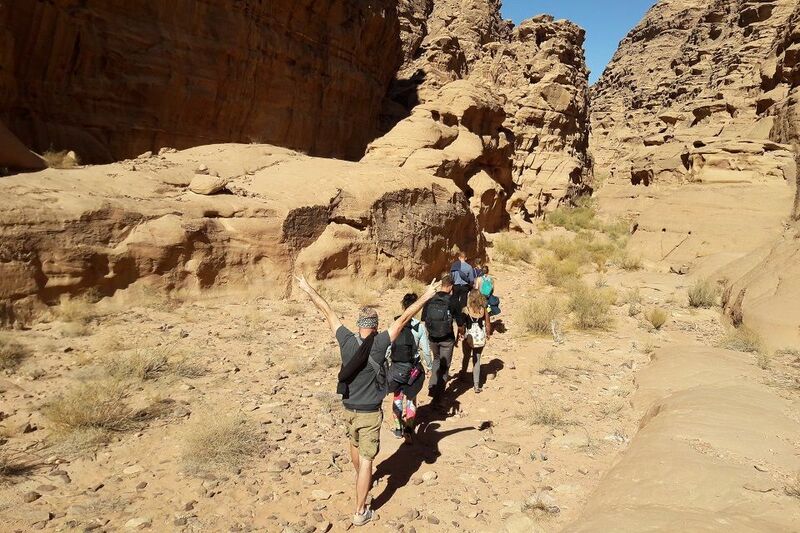 Join us on an adventurous tour and experience trekking in Wadi Rum with one of our Bedouin guides! 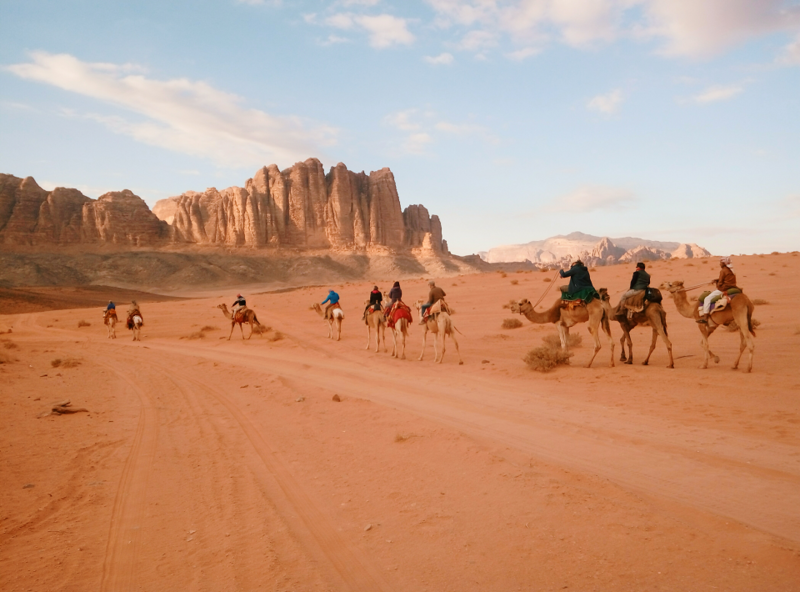 It is no surprise that one of the best ways to explore Wadi Rum is a tour! 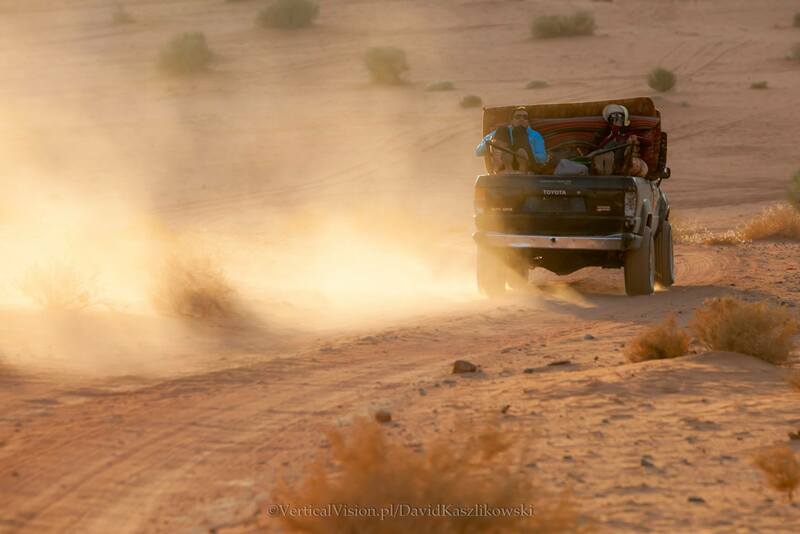 Our mountain adventure tours provide just that; jeep tours, hiking and scrambling and camel treks all in one. Furthermore, we are delighted to welcome guests to our desert camp. 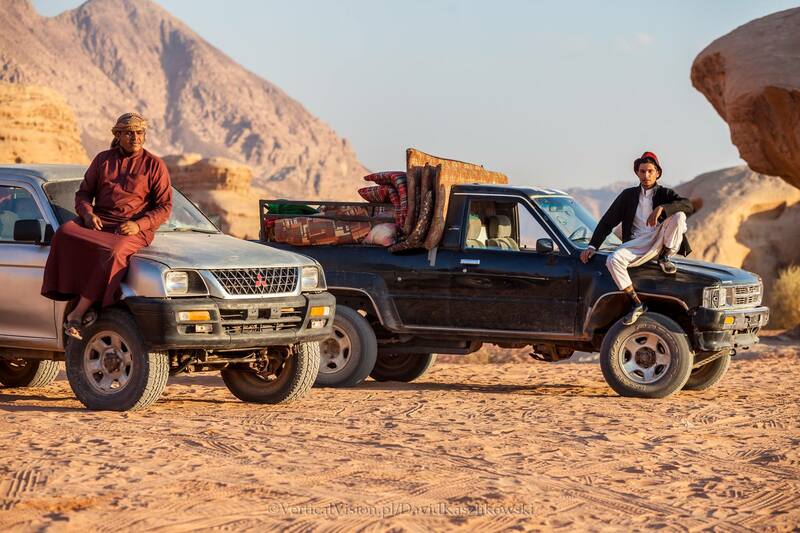 Here we will show you true Bedouin hospitality when staying overnight. All of the available tours can easily be customised. 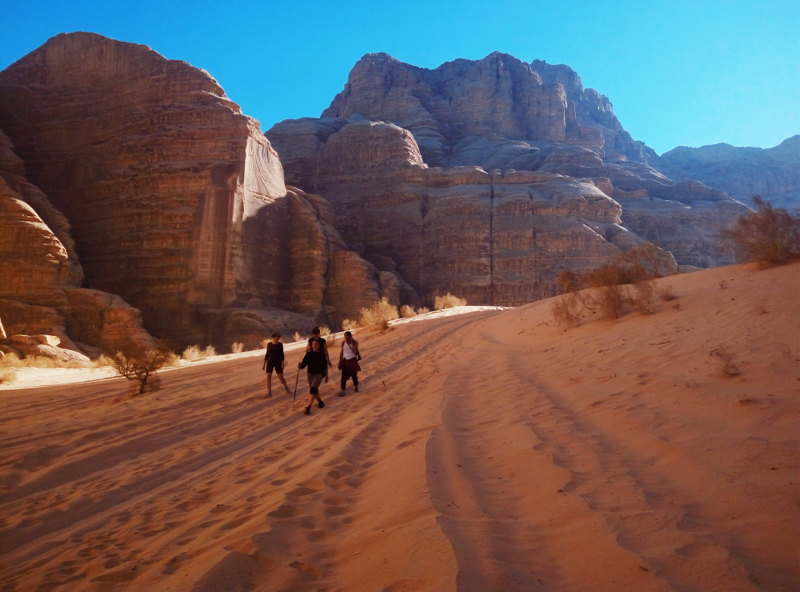 Creating a unique trip to suit your exact needs so that you can have an ideal trip in Wadi Rum. 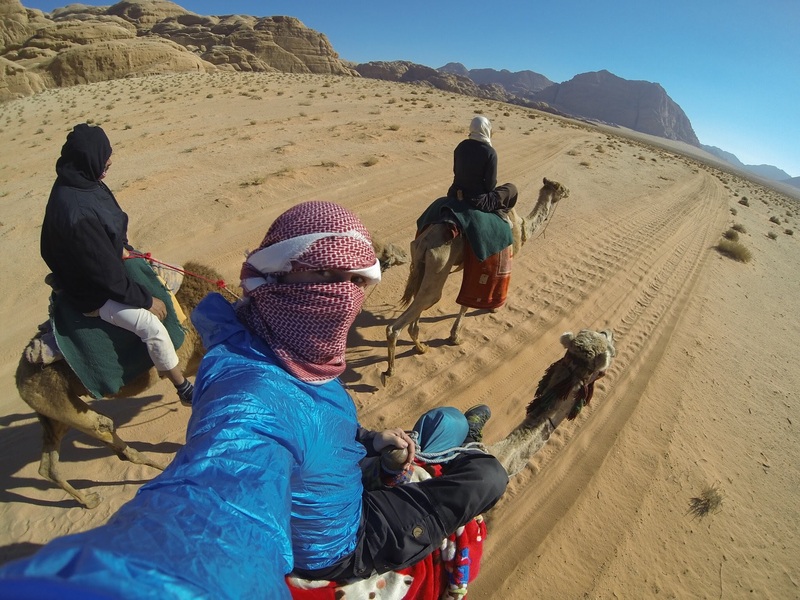 In this adventure tour, you can see many of the major sites in Wadi Rum by jeep, climb Jebel Burdah and trek on a camel in the rugged desert. 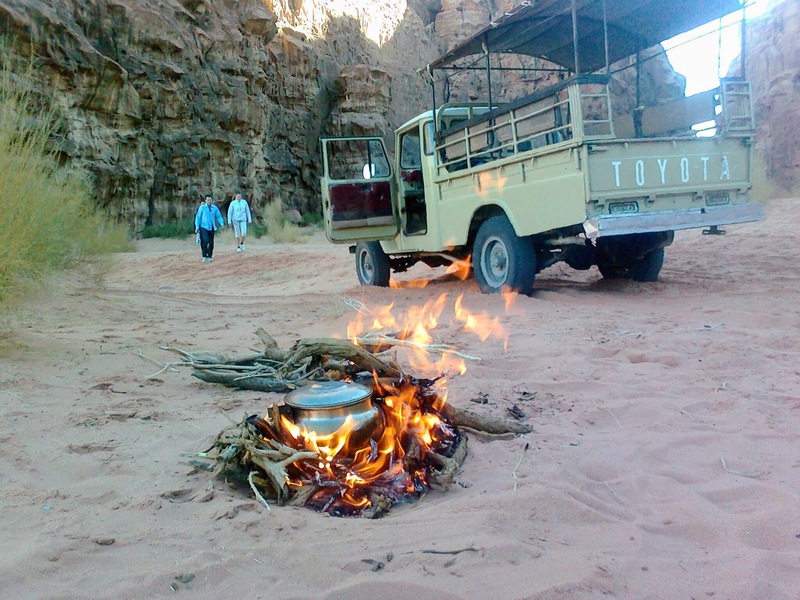 You will also experience Bedouin hospitality in our desert camp. 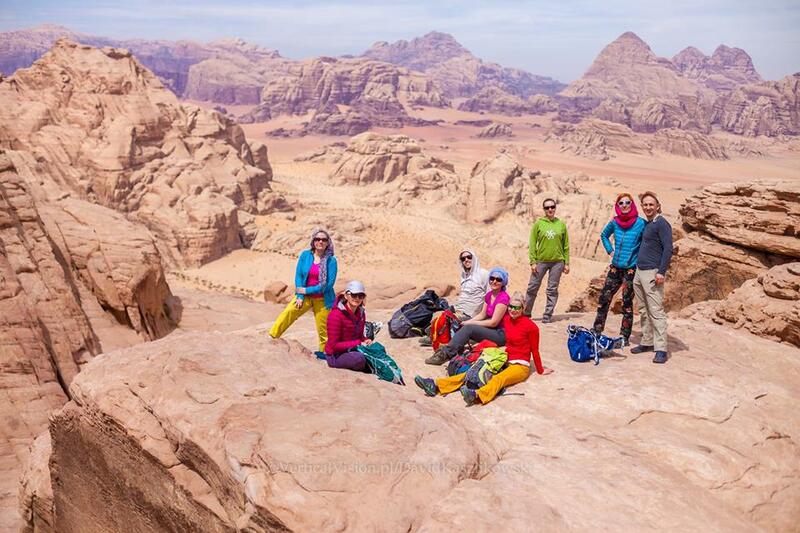 Jebel Burdah is one of the most impressive locations in Wadi Rum. Featuring the highest rock arch in the desert with amazing surroundings. The first day is the jeep tour, in which you will see many of the famous sites in Wadi Rum and become familiar with the vast desert. Travelling by jeep, we will journey to Lawrence’s Spring, Khazali Canyon, the Small Rock Arch, Lawrence’s House, Barrah Canyon and the Mushroom Stone. At the end of the day, we will head to our desert camp. Here you can enjoy the quiet of the desert and experience the Bedouin culture. 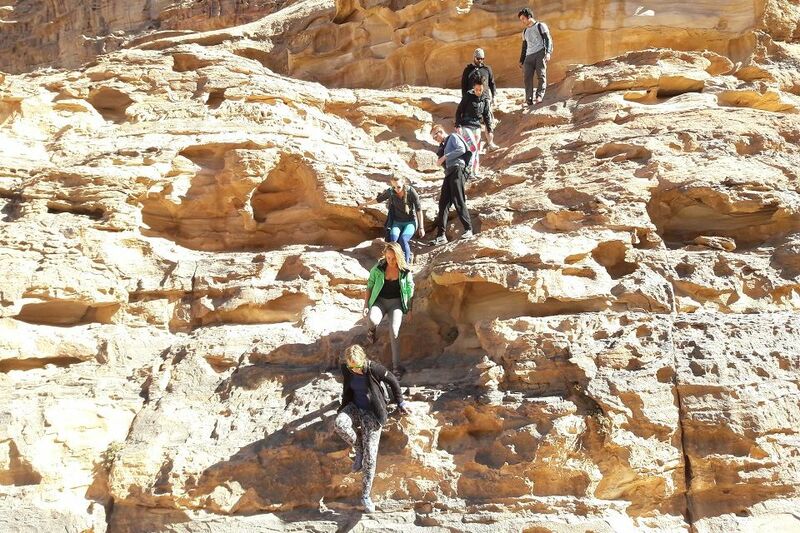 On the second day, we will travel to the spectacular Jebel Burdah and begin the hiking and scrambling to its famous arch. 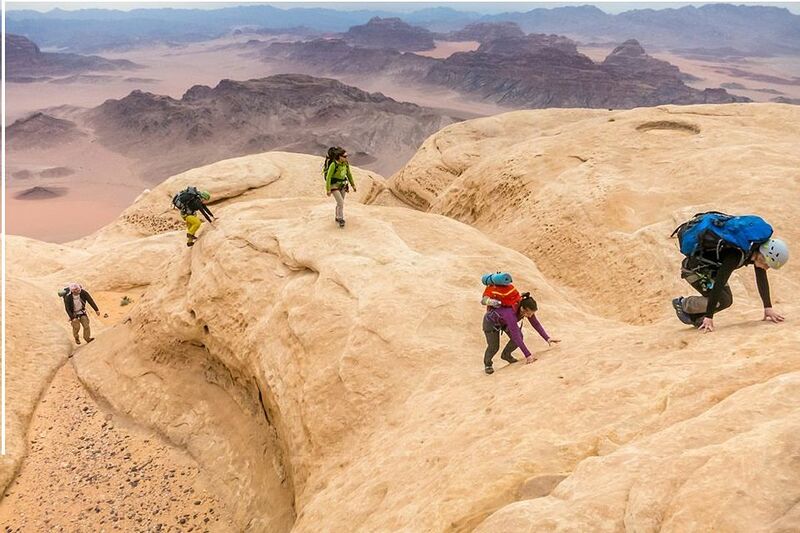 This mountain is a great experience for those looking for a little more adventure in Wadi Rum. The twisting turning route means that you use your hands a lot, much more enjoyable than a normal walk! 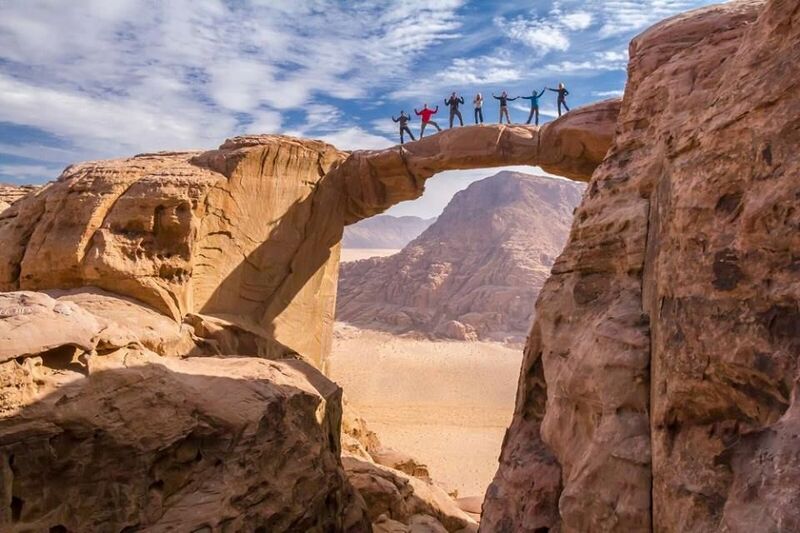 Once you reach the highest rock arch in the desert, you can enoy breathtaking views before descending to the jeep. 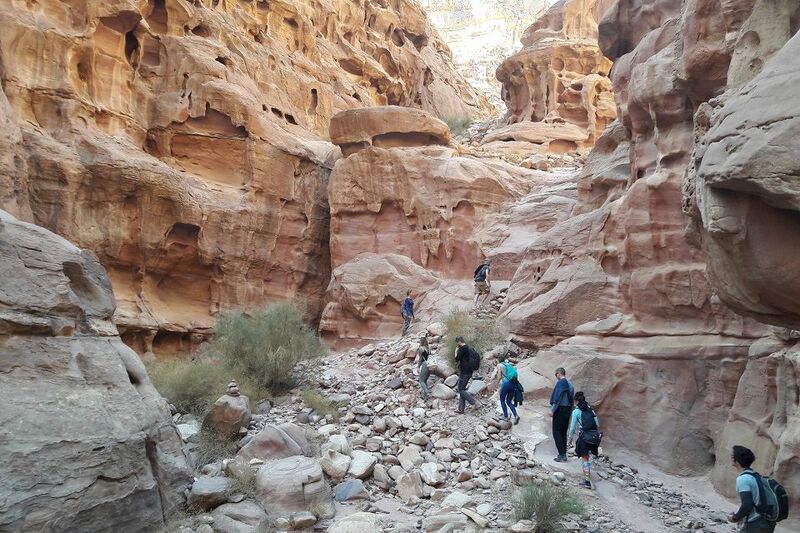 After this, we will see Umm Fruth, followed by a short hike through Abu Khashaba Canyon. Here we will watch the sunset over the desert before returning to the camp for a second night. For you final day, a different type of adventure awaits after breakfast. You will travel as the Bedouin have for thousands of years; by camel. This journey back to the village takes roughly two hours. Thereby allowing you to rest your feet whilst taking in the scenery and riding these magnificent animals. As they are guided by expert handlers back to the village. 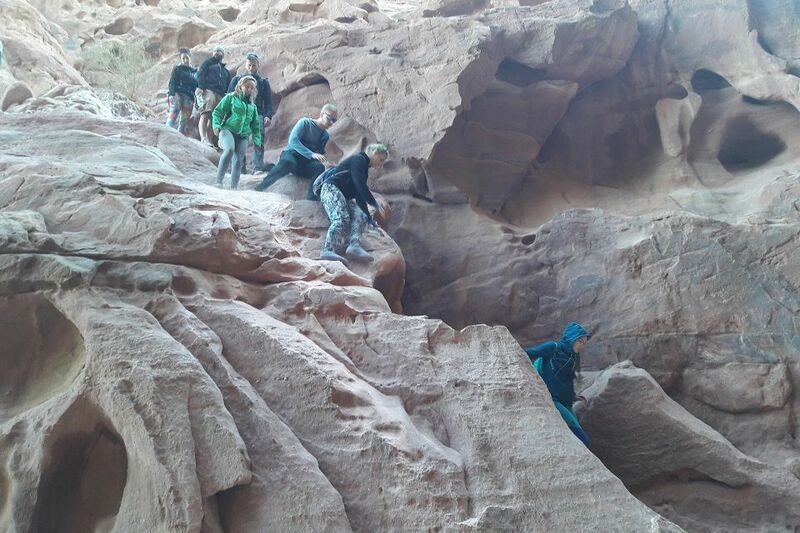 Please note that the scrambling route to the top of Burdah is quite challenging for children under 15. 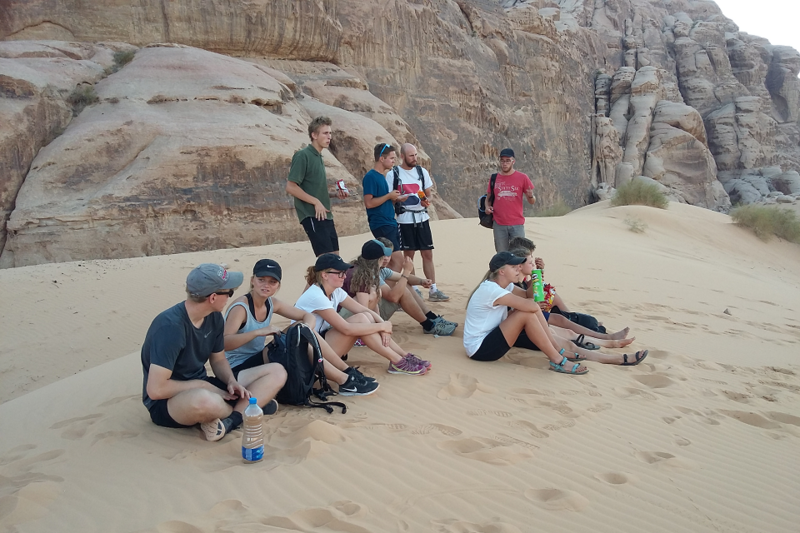 This tour is different to many other tours in Wadi Rum as it takes you to the more remote parts in the South of the protected area. It is especially suited to those wanting to experience what T.E. Lawrence would have experienced in his day. Fighting alongside many Arabic tribes, including those tribes of Wadi Rum against the Ottoman Empire. 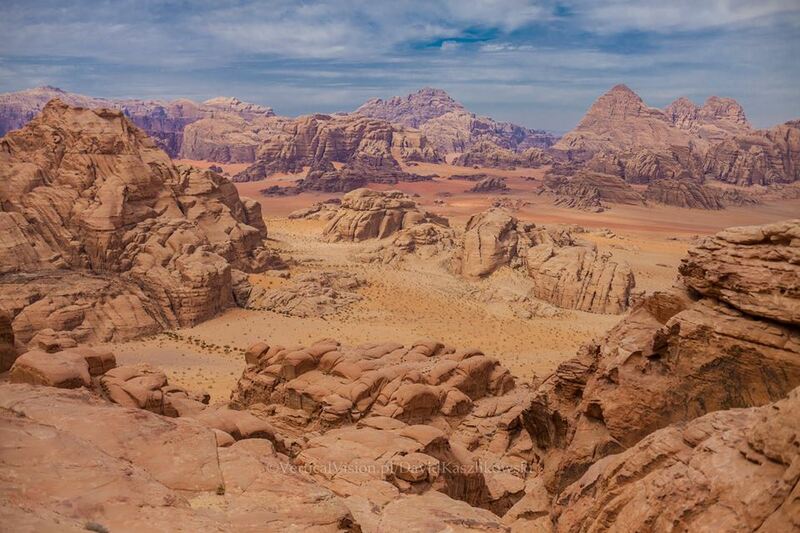 You can find out why Lawrence has described Wadi Rum as ‘vast, echoing and godlike’. As well as travelling the desert by jeep and hiking up the scenic slopes of Jebel Al Hash, you can enjoy a longer camel ride and of course stay overnight in our desert camp. The first day is exploring the desert by jeep, thus allowing you to visit many of the major sites. Including Lawrence’s House, Lawrence’s Spring and Shallalah spring which are all part of the local folklore surrounding him. Furthermore you will see sand dunes, infasheh inscription and um ashreen canyon. Then look for nice palce to have a rest and have some lunch. After lunch you will reach barrah canyon and mashrom stone. At the end of the day, we will travel to our desert camp where you can enjoy the Bedouin hospitality. This includes food, music and relaxing for the night. The second day offers something completely different! After breakfast, you will trek for 6-7 hours by camel. Allowing you to get a real feel for travelling in the desert. Just like the caravans of years ago, 1000 years or 100 years ago during the Arab revolt. There is really nothing like exploring the desert by camel! And their handlers will be able to answer any questions you have about these ‘ships of the desert’. After the journey, you can enjoy a second night in the camp. On the final day we travel further south to the distant region near Jebel Al Hash. This area of the desert is more hilly, meaning that it is possible to hike up its slopes. Making it an easier mountain to climb without having to scramble. The total time to discover Al Hash on foot is about three hours. After this, we will return to Wadi Rum Village to conclude the tour. 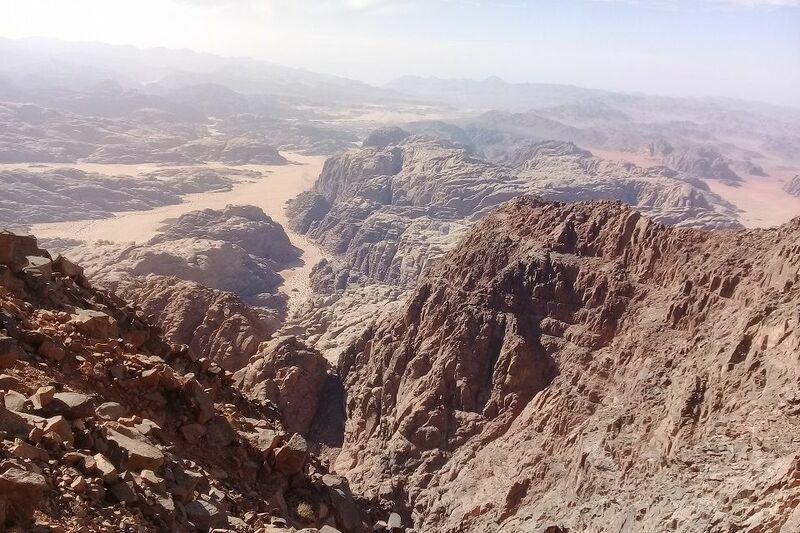 For those who want to climb to the highest point in Jordan, then this is the tour for you! 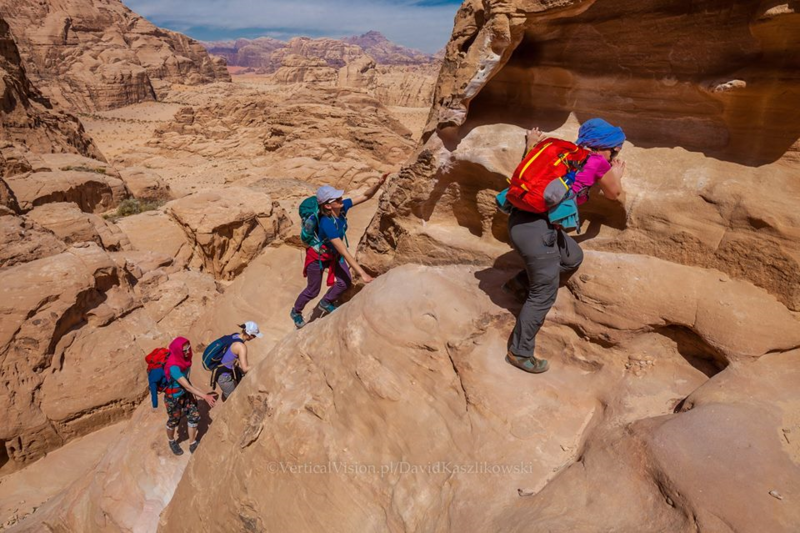 This adventure tour allows you to not only see many of the major sites in Wadi Rum, but also climb to the 1854 meter summit of Jebel Umm Adami. 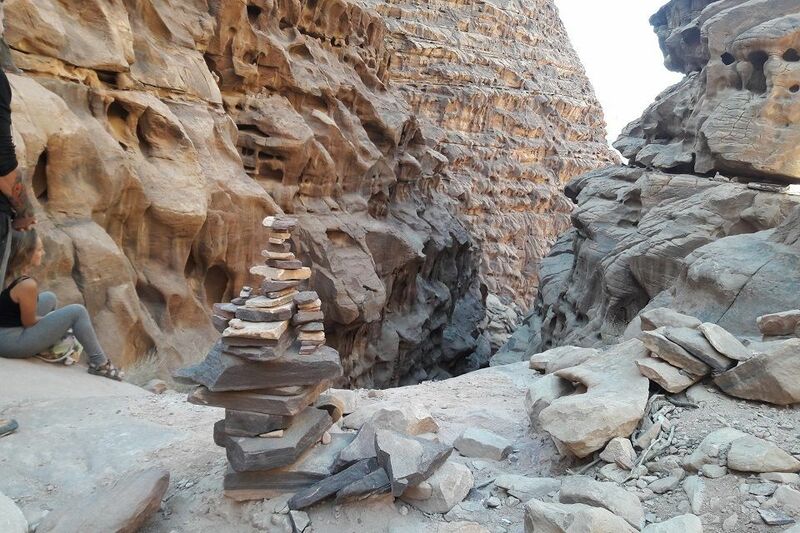 And discover Jebel Al Hash, in the very south of the protected area. Nights will be spent relaxing in our desert camp where we will make you feel as welcome as possible during your stay. 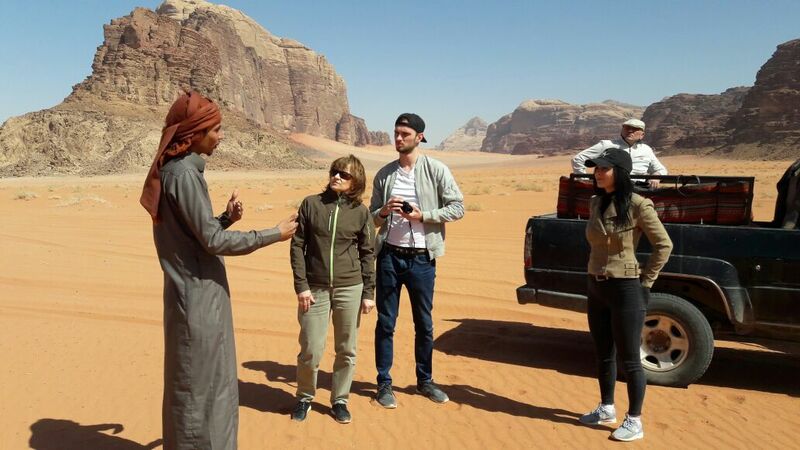 The first day includes visiting many of the major sites in Wadi Rum by jeep. These sites will include Khazali Canyon, sand dunes and many others. As a result you will have a unique feeling and understanding of the desert. At the end of the day, we will travel to our desert camp where you can enjoy the Bedouin hospitality. Including food, music and relaxing for the night. On the second day, we will adventure to Jebel Al Hash. This will provide an easier hike up its gently sloping sides. It takes roughly 3 hours to climb up and down the mountain. 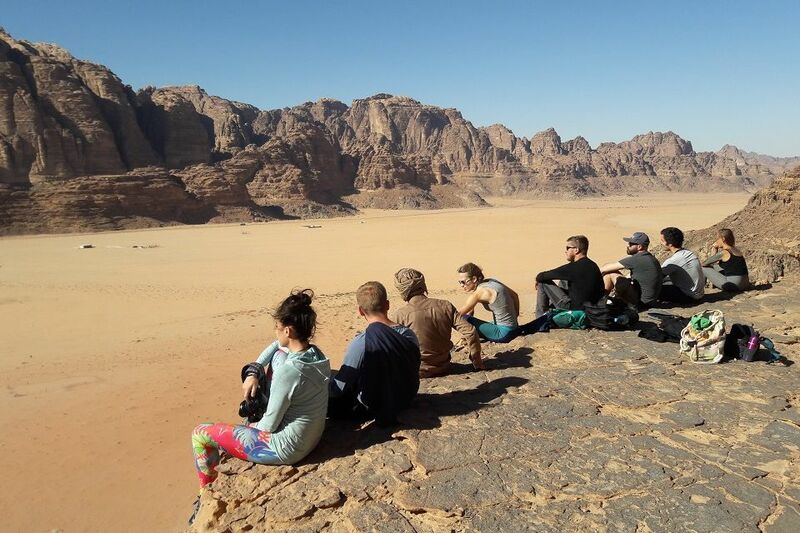 Including time to take in its magnificent views of the vast desert in the southern region of Wadi Rum. Conluding with enjoying the Bedouin culture and peace of the desert in the camp. 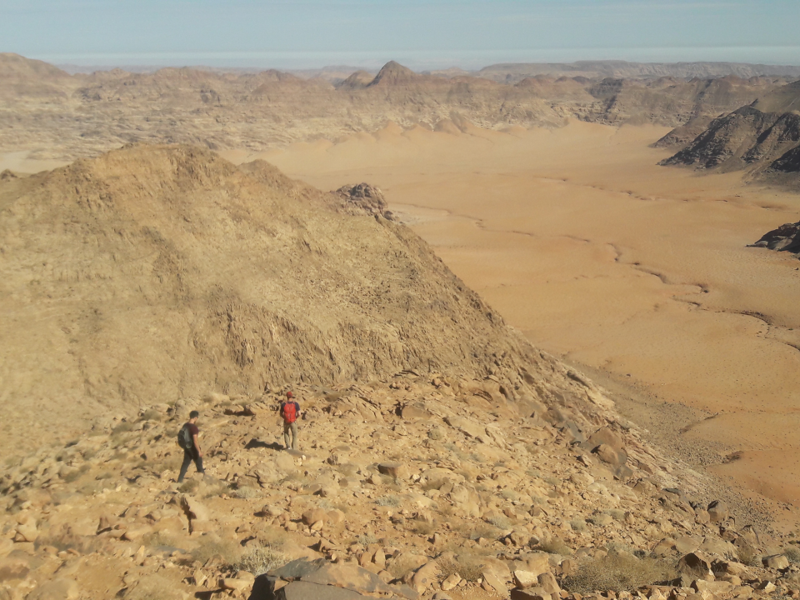 On the third day, you will travel even further south to climb the highest peak in Jordan. On the journey there, we will first visit Al Nughara Canyon. A very scenic hidden location with breathtaking views of the wild desert. Steeper than Jebel Al Hash, Umm Adami again takes about 3 hours to explore from its base. 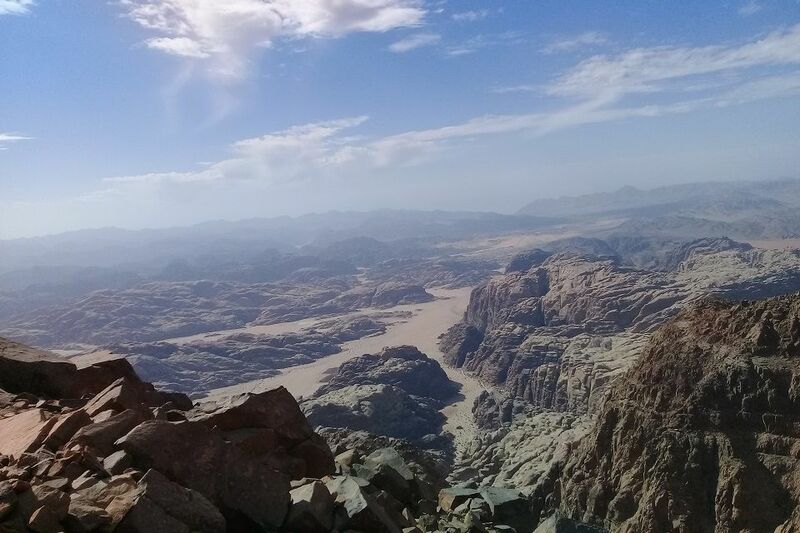 From the summit, you can see vast expanse of Saudi Arabia to the south, the Red Sea to the west and Jebel Rum and finallt Wadi Rum Village to the north. The sweeping view of the surrounding country is very different to the scenes found on the first day. 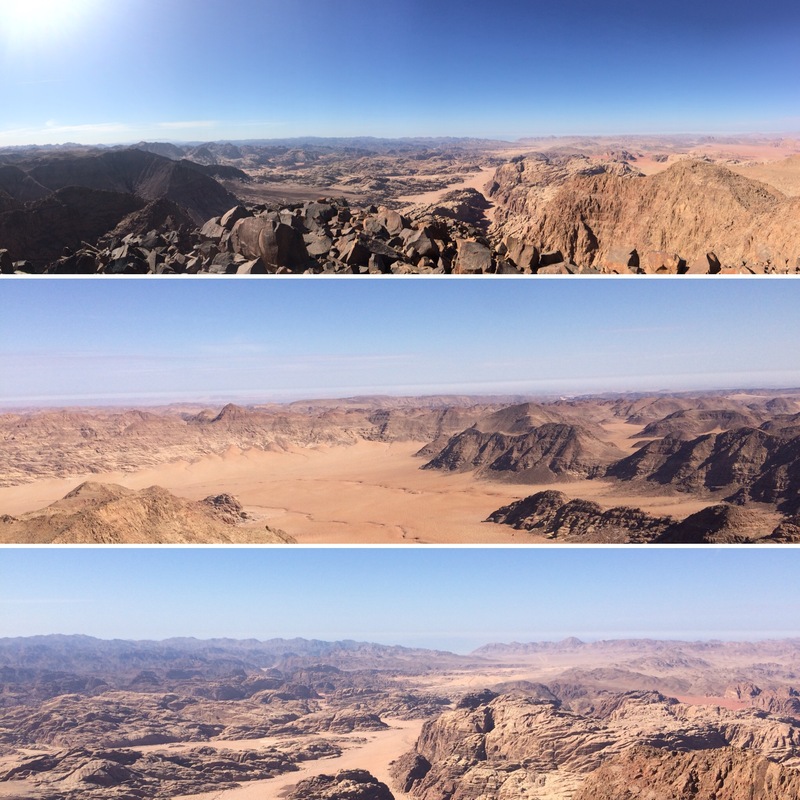 Which will show the vast differences of Wadi Rum. 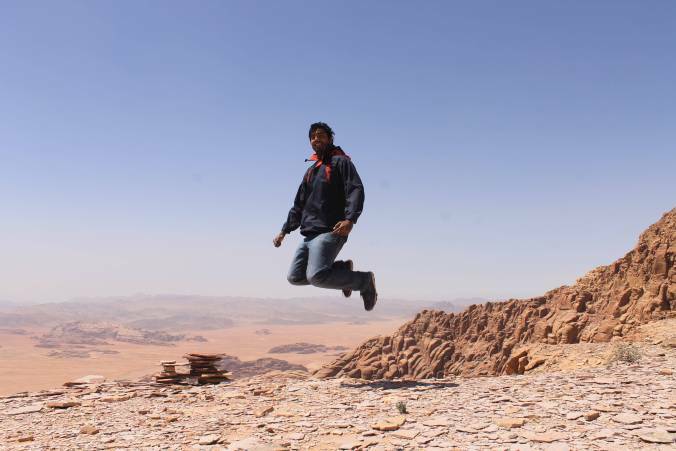 After this, we will travel back to Wadi Rum Village to conclude the tour. 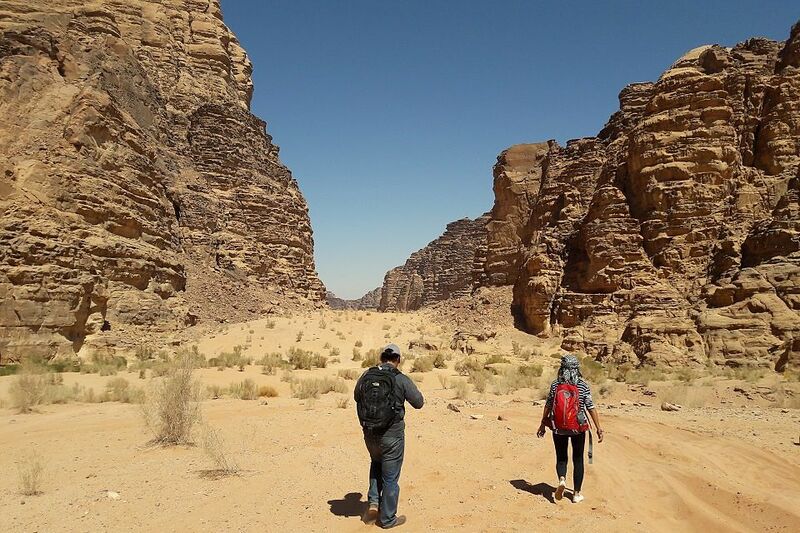 Sometimes, the best way to enjoy the beauty of Wadi Rum is on foot, allowing you to really take in all that the desert has to offer. In this adventure tour we offer you have the chance to do supported hiking. Meaning that you will walk for most of the day, but we will carry your bags and keep plenty of water onhand throughtout the day. Sometimes, we will travel by jeep between different hiking sections, thereby giving you the chance to rest and take in the wonderful sights of the desert. The first day involves exploring the north of the protected area. Visiting sites like the Anfishiyeh inscriptions, the Big Sand Dunes, Umm Ishrin Canyon, Barrah Canyon and the Mushroom stone. All this before arriving at our desert camp where you can relax and enjoy the Bedouin hospitality after a successful day of hiking. On the second day, you travel to the eastern and southern regions from the camp. Here you will see the Burdah Rock Arch from the ground, Abu Khashaba Canyon, Umm Fruth, the Small Rock Arch, Jebel Umra Canyon, Lawrence’s House and Umm Rashid Canyon. The final night is spent in our desert camp once again. Allowing time to enjoy a large meal, hot showers and tea by the campfire at the end of a busy day. On the third day after breakfast, we will see the breathtaking views at Nughara canyon, Chicken Stone, Khazali Canyon and Lawrence’s spring. Concluding the tour in Wadi Rum village at roughly 3pm.